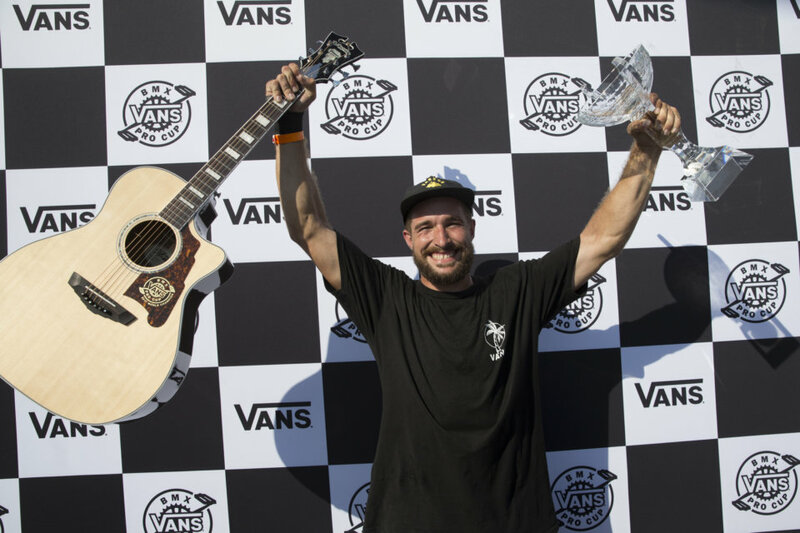 The inaugural 2017 Vans BMX Pro Cup World Championships closed out a remarkable series finale today as Larry Edgar was crowned Vans BMX Pro Cup World Champion. His critical second place finish bumped up his overall rankings to edge out former leader Sergio Layos to take the victory. 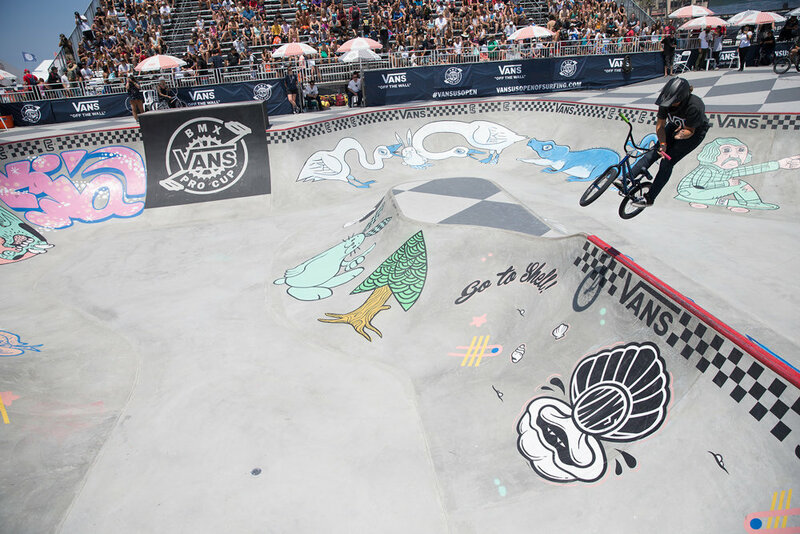 Annihilating the custom-spec cement park course in Huntington Beach as part of the Vans US Open, Edgar’s showstopping airs and effortless technical style has surpassed the world’s best BMX park riders, earning him the coveted World Championship title, in addition to the crowd favorite Big Air Award. 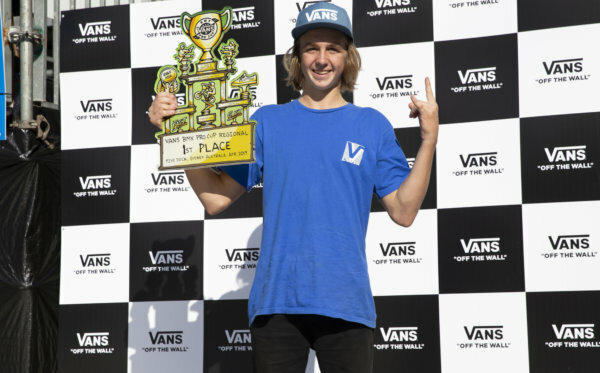 In the main event, consistent placer Dennis Enarson took first place and the Best Line Award, executing enormous, high-speed transfers to improve his overall series rankings. 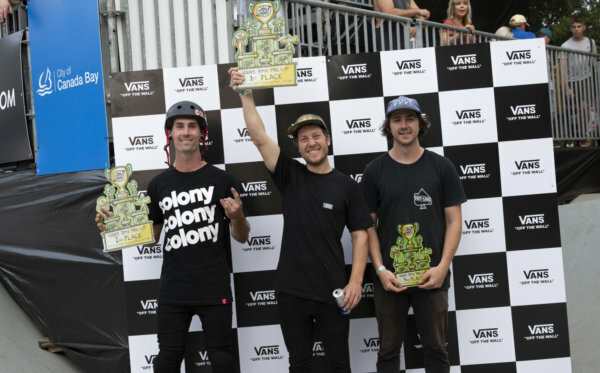 In third, Kevin Peraza’s unique trick combinations and signature smooth style granted him an emotional third place, securing his maiden podium win of the season. 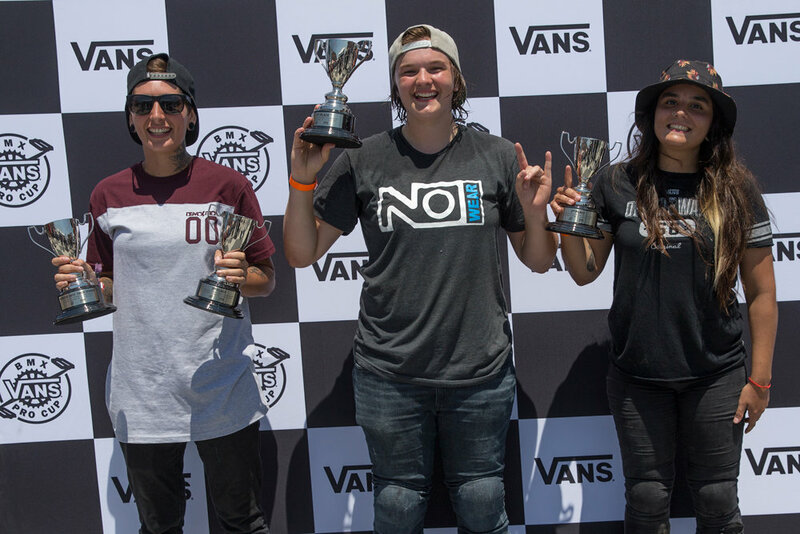 In an exciting women’s competition, 15-year-old Michigan-native Hannah Roberts raised the bar of women’s BMX riding with her charging style and back-to-back trick selection, taking home the women’s Vans BMX Pro Cup first place title. 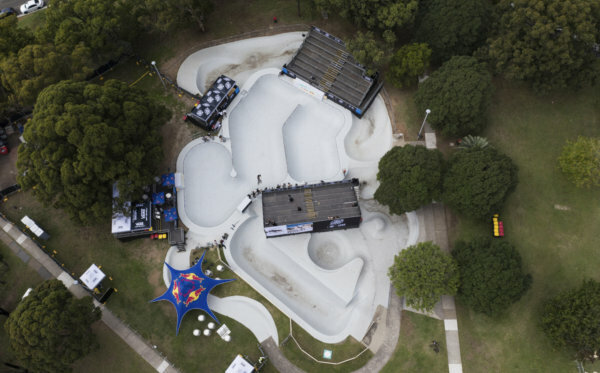 In second, Chile’s Macarena Perez awed the crowd with her huge airs and high-speed lines. Ruling the park with strong riding and a unique fastplant transfer, Las Vegas’ Nikki Wetzel takes the women’s Best Trick award and joins Roberts and Perez on the podium in third. Best Trick – Maxime Charveron with a transfer from side of wedge to back wall quarter. Best Line – Dennis Enarson with a massive hip transfer into the deep end.